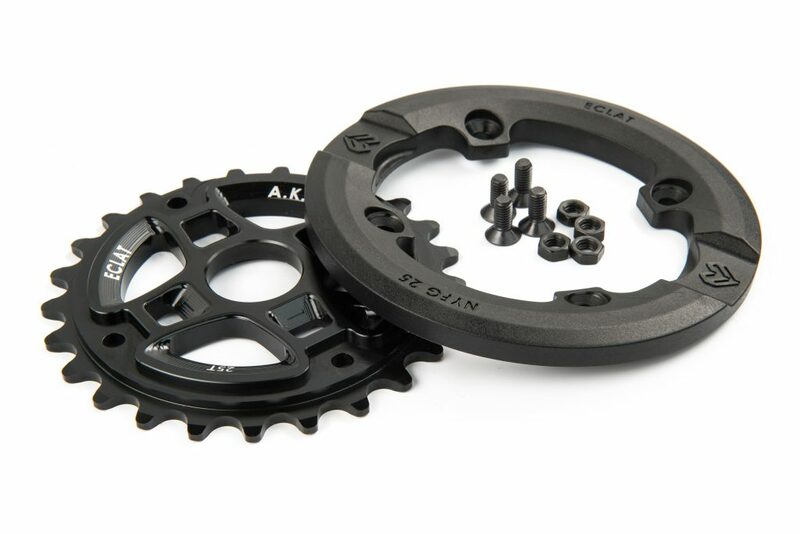 The Alex Kennedy signature AK Guard received a lot of attention when we debuted it at Interbike back in September 2015. 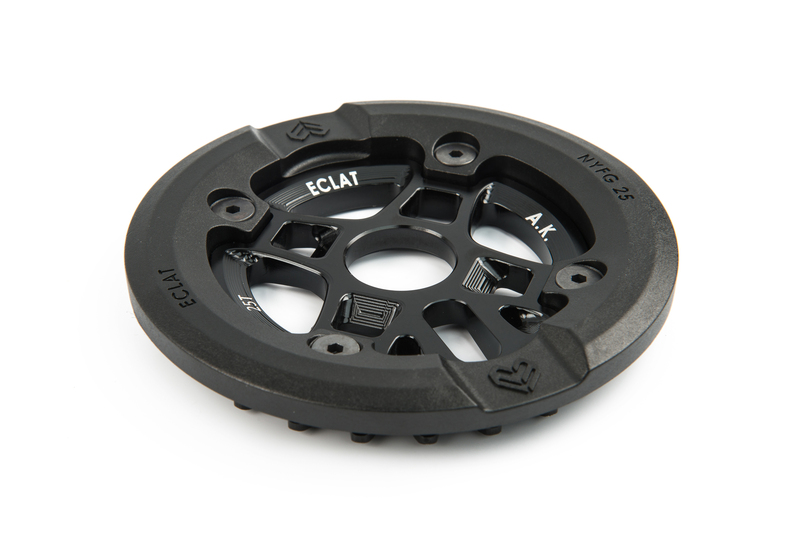 A concept that was spawned from his signature pedal; we wanted to take the robust nylon construction of the AK pedal and apply it to a full guard sprocket. 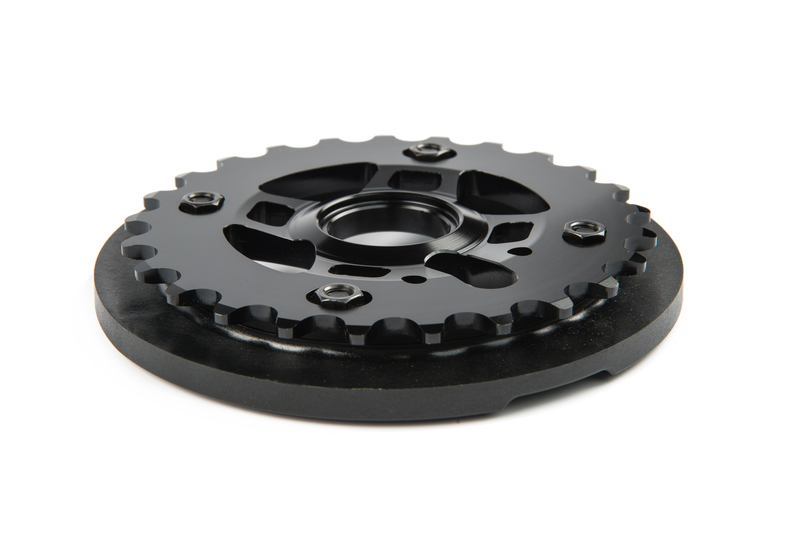 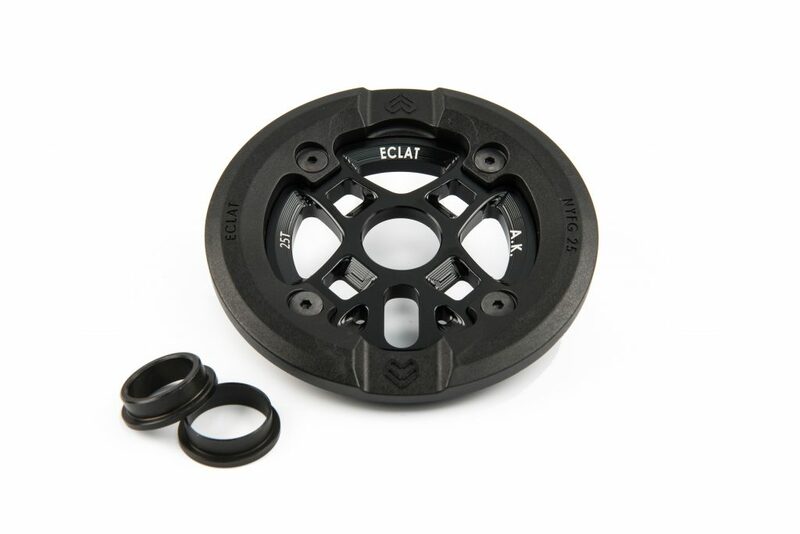 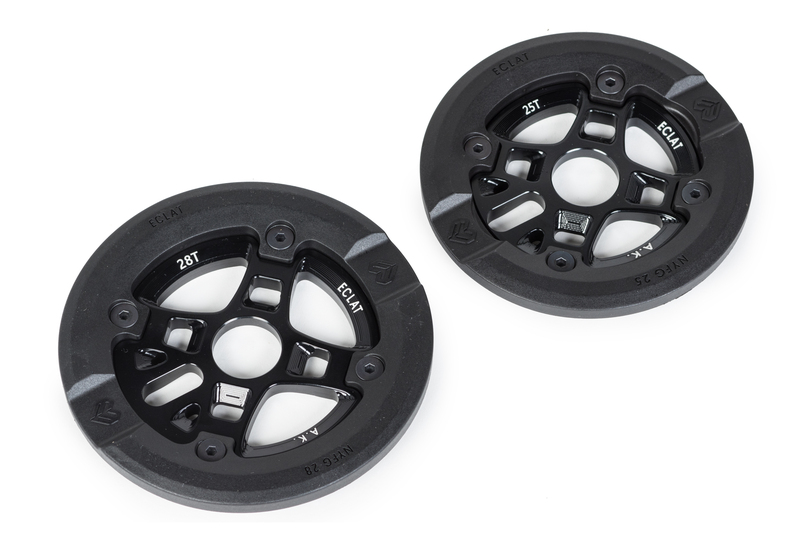 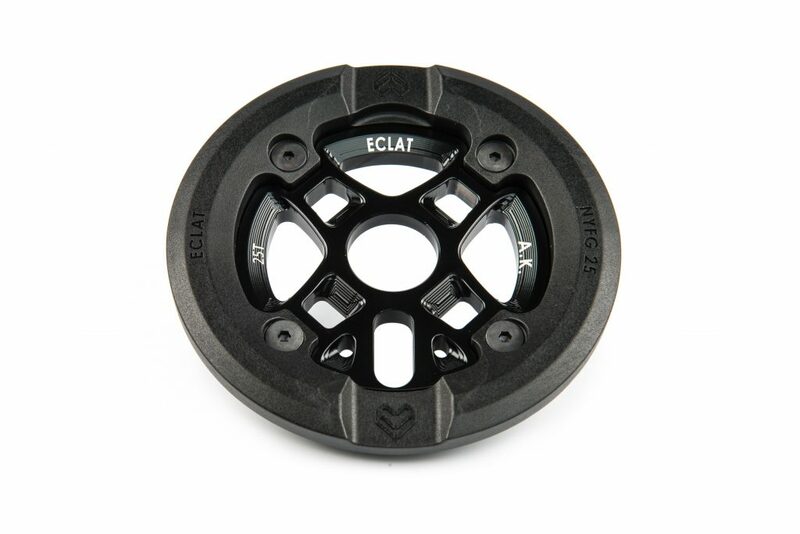 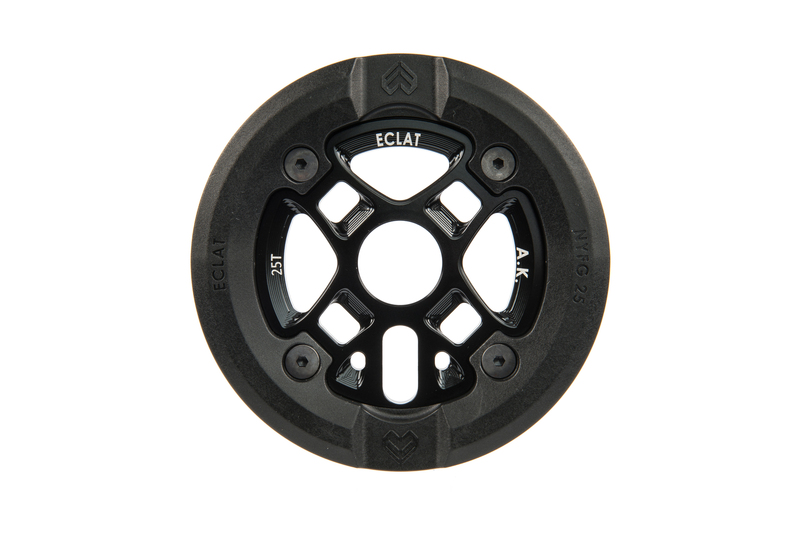 The end result is a 8mm thick full CNC 6061-T6 Alloy sprocket with a fully replaceable 10mm thick Nylon-Fibreglass guard that is then bolted securely in to the sprocket via x4 small bolts. 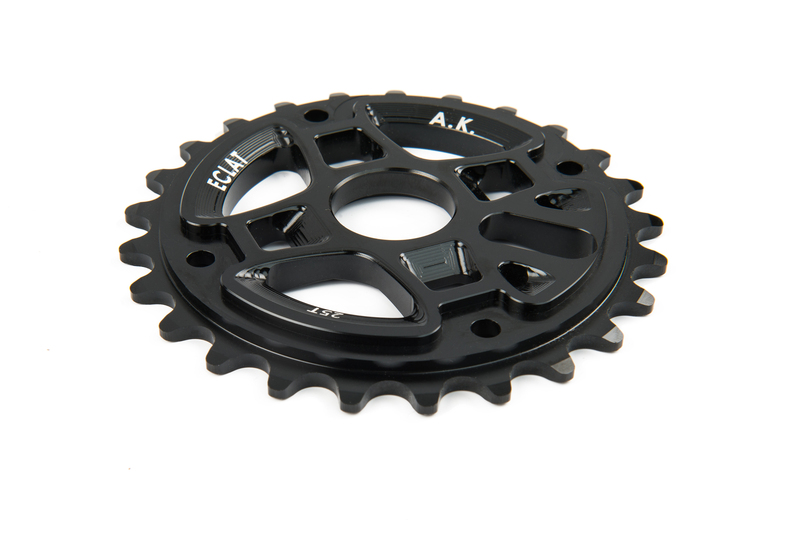 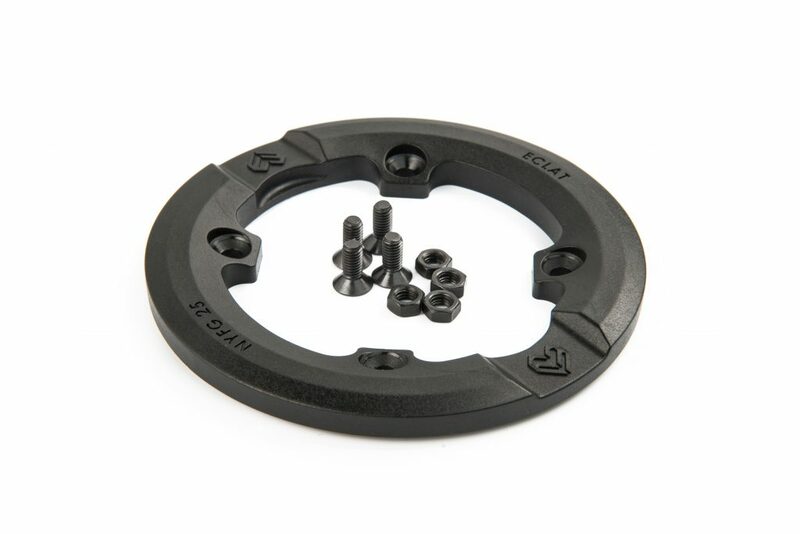 One of the major design elements that has made the AK guard such a trustworthy and robust product, is the way that the Nylon guard is attached to the sprocket. 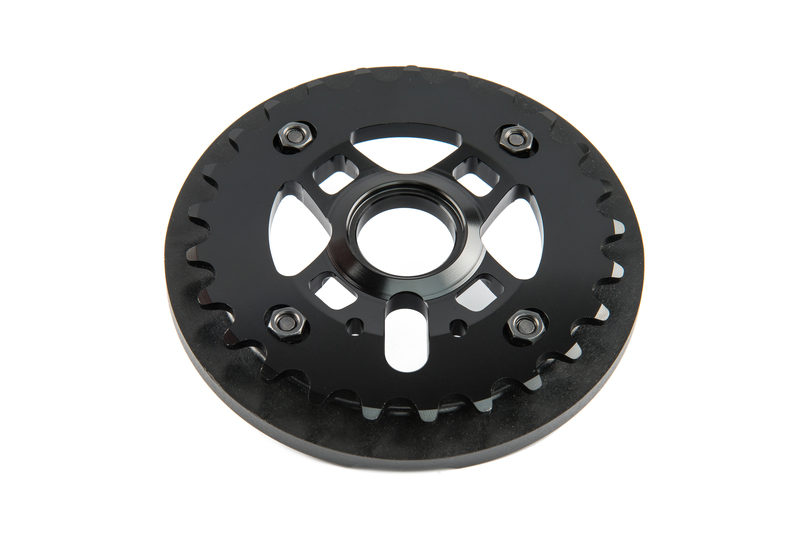 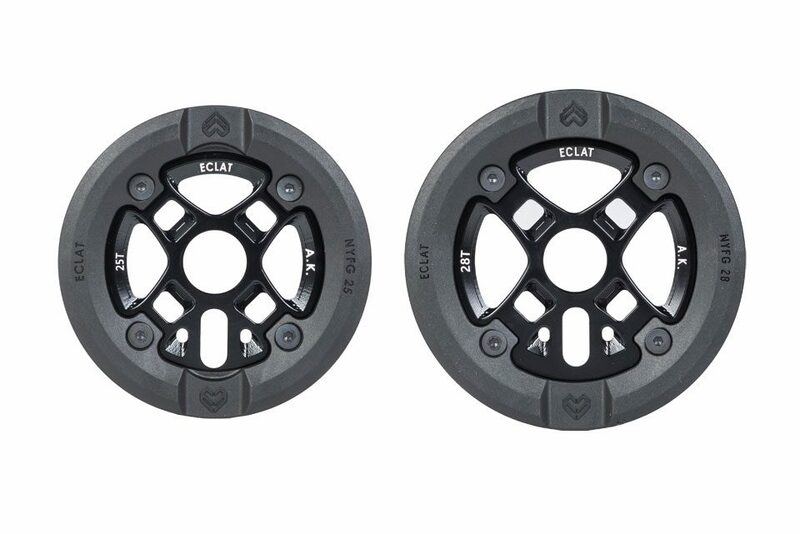 Instead of sitting on the surface of the alloy sprocket, the Nylon guard is sunken INTO the structure of the sprocket and supported all the way around so that the bolt holes on the guard do not take all the impact. 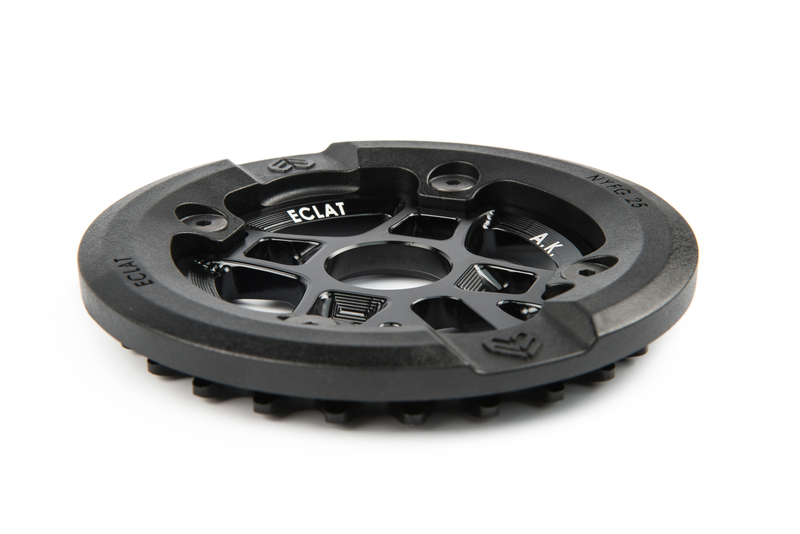 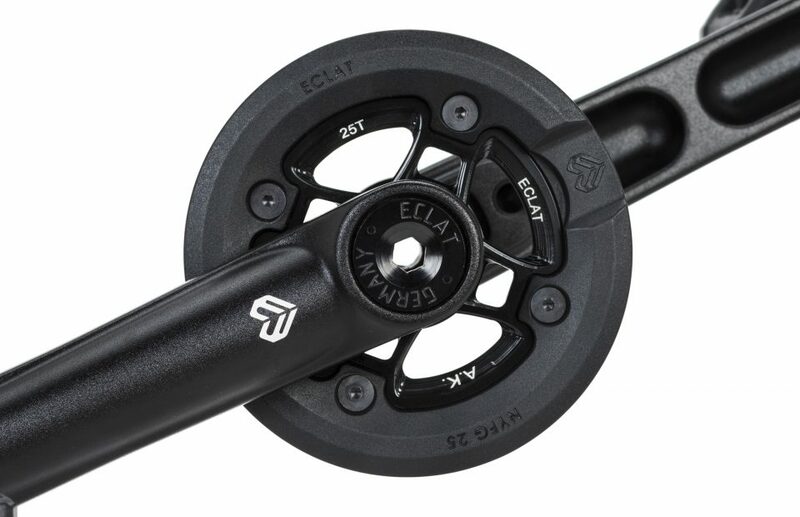 The high-impact, low-friction material of the guard allows you to grind and slide on the sprocket in ways that a standard alloy guard wouldn’t let you – this also opens up the possibility of a whole new world of grind combinations.